I know you’ve been told this before but I’ll say it again: proper grammar and spelling matter, even more so in the advertising world. If that’s a little short on the dramatics, then pretend that statement is in retro gif flashing neon for additional emphasis. To be clear, incorrect spelling in advertising has an impact that is WAY different than in conversational style. It just detracts from the message and does the brand an incredible injustice. Why are advertisers becoming increasingly illiterate? The English language continues a steady slide into the gutters—and no way it’s just texting that’s to blame, it’s also marketing. Whether online, offline copy or even on packaging, brands seem to be casual about the spelling and grammar we all supposedly learned in school. How is it that brands with marketing budgets and dedicated editorial staff have gotten so careless? The language police blames everything from the informality brought on by social media to the fact that kids entering simply don’t know how to write. 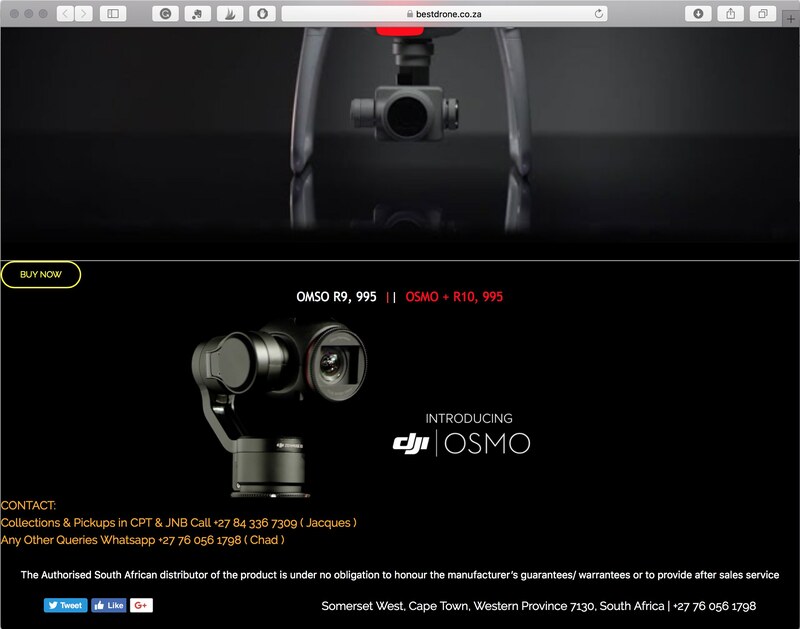 You won’t find it now on https://www.bestdrone.co.za where the advert came from. But they should still be told. Luckily we’ve immortalised it for our readers right here. For the sake of sanity and in pursuit of preserving the English language, people need to Speak Proper.